Idriss Fofana is a Ph.D. candidate in international and global history at Columbia University and a recent graduate of Yale Law School. He specializes in the history of international law and other forms of inter-polity order in Asia and Africa since the eighteenth century. He is especially interested in historical and contemporary attempts to regulate migration. His work spans the fields of modern Chinese history, the modern history of Atlantic Africa as well as the history of twentieth-century anti-colonial and Third World movements. His dissertation is titled “The ‘International Solution’ to the Labor Question in Africa: A Legal History of Chinese and West African Migrant Labor in the Congo Basin, 1860-1930.” This project draws on archival research across three continents and in multiple languages to study how West African and Chinese laborers were drawn to the Congo Basin over successive generations through expanding and entangled networks of empire and capital. The dissertation further recounts how colonial administrators, imperial entrepreneurs, migrant source communities and laborers themselves helped transform abstract anti-slavery norms developed in the early and mid-nineteenth century into an elaborate transnational regime governing Asian and African labor migration. Idriss’s work has been funded by the Mellon Foundation/Council on Library and Information Resources fellowship for research in original sources, the Fulbright student scholarship program and various grants from Columbia and Yale universities. In addition to conducting scholarly research, Idriss has participated in litigation and advocacy on matters of immigration, citizenship and national security. He has also worked in the public international law and international arbitration practices of major law firms. 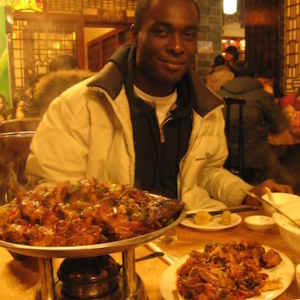 Originally from Abidjan, Côte d’Ivoire, Idriss earned his undergraduate degree from Harvard University and spent a year as a China Scholarship Council post-baccalaureate fellow at Zhejiang University.